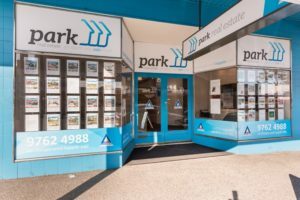 Park Real Estate is a Jenman Approved Agency and offers its clients in the east and south-eastern suburbs of Melbourne a number of unique benefits including no sale no charge and an iron clad guarantee with the opportunity to terminate our agreement if we are not living up to our promises. Selling your property should be a stress free and rewarding experience. At Park Real Estate we cover the east and south-eastern suburbs with a team of experienced sales specialists. Our team is highly trained and skilled in the areas negotiation, marketing, communication and superior customer service – factors that are essential for us to obtain the highest possible price for your property. We offer you an enthusiastic and passionate team that is in a constant state of training and improvement. We love our work and strive to provide the best professional and personal service to you, our client. Our aim is to do whatever it takes to totally delight you – OUR CLIENT. Park Real Estate has been awarded the Jenman APPROVED accreditation. This means that you are provided with real guarantees when selling your property. The system focuses on ethics, marketing and negotiation enabling us to achieve the highest price for you.